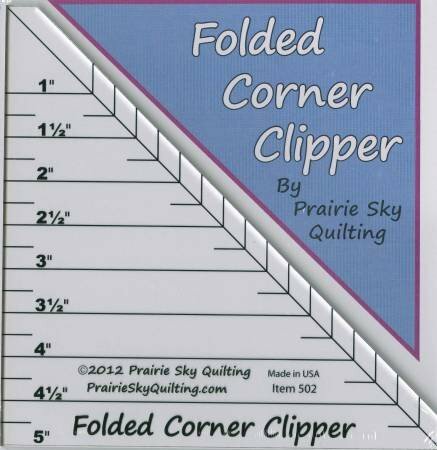 Make folded corners quickly and accurately. No more drawing pencil lines! By trimming the corners first, you identify the sewing line and trim in one step. Great for binding too!